Barleans is a manufacturer of a range of organic products. From flax oil to fish oil, olive leaf, and other greens - they're known for quality and innovation and a mission for paving a pathway to a better life. Their SharePoint portal was used heavily for a variety of purposes supporting sales marketing and data insight into their ongoing operations. The 2007 based portal was essential for sales management. An external cloud-based service was used for some BI. It was desired to build a state of the art BI within 2013 using Power Pivot/excel calculations services. Zero business downtime was desired. We built a SharePoint 2013 based SharePoint farm at a cloud provider and did a couple iterations of trial migrations which uncovered some minor issues with their source SharePoint farm. This was accomplished by providing a loaner server stocked with both SharePoint 2007 VM's and 2010. A database detach-attach method was used to bring it up. The data was then placed within 2013 and we set up a synchronization of data between 2007 and 2013. We installed the entire SQL BI stack and created pages in SharePoint for interactive visualizations with some embedded pages. In this scenario, users can remain in SharePoint while still benefiting from rich reports and dashboards. This takes some work since new pages must be created for each dashboard. For the bulk of the reporting, we used Power Pivot. Dozens of worksheets were created that integrated data from disparate backend systems. Several accomplishments came out of this project including saving money from a third-party dashboard hosted service, better BI dashboards connected to real-time data for more agile operations, and updated interface more compatible with modern browsers, and general time savings for all users of the portal. Adoption went smoothly and it was virtually no business interruption. We had a home run in several areas. Migration of an on-premise 2007 SharePoint farm to a cloud-based 2013 farm. Executed with zero business downtime. Branding was inspired by their public site and blogs. It was so closely aligned it was considered a home run after our client saw the first draft. 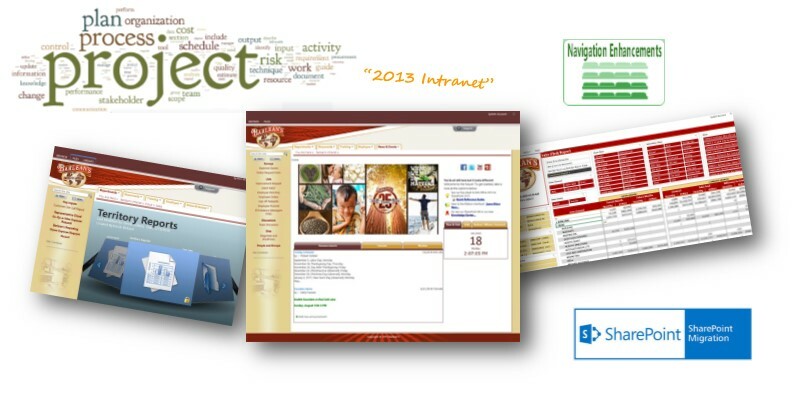 A user support system was baked into their portal by leveraging our "Infopedia knowledge center" to provide self-service assistance with the new SharePoint 2013 interface. The entire BI stack for SQL was implemented including Excel calculation services, SSRS, and Power Pivot. Dozens of Power Pivot files connect to ERP systems for real-time data integration and visualization. "Best consultants I have ever worked with! SimpleSharepoint was instrumental in helping Barleans launch its updated portal in SharePoint 2013. Their quick responsiveness to changes during the design and development process, and deep knowledge of the SharePoint technology was critical to the success of the project". Our firm has been providing Microsoft SharePoint consulting services since the first version of SharePoint and we've developed many SharePoint navigation apps that will make your SharePoint friendlier and easier for your staff to use. We invite you to learn more about our SharePoint Mega Menus and SimpleTabs as well as our zero business outage SharePoint migrations here and contact us today to be your SharePoint partner!